(WATERCOLOR, FL – March 16, 2017) — Berkshire Hathaway HomeServices Beach Properties of Florida and Lifestyle Asset Group of Fort Collins, Colorado announced today a joint venture designed to offer both buyers and sellers of beach properties in WaterColor, Florida with a game-changing alternative to traditional vacation home ownership. Lifestyle Asset Group, a recognized pioneer since 2012 in collective asset ownership of vacation real estate, has joined forces with Berkshire Hathaway HomeServices Beach Properties of Florida to provide the option for buyers to acquire one of eight limited partnerships in a luxury property in a coastal community along renowned Scenic Highway 30A. 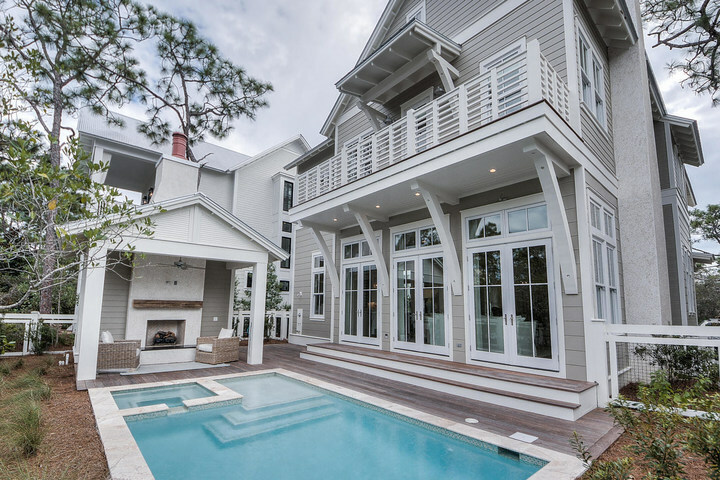 This limited offering features a newly constructed residence at 110 Flatwood Street in WaterColor, just steps from the beach, priced at $2,600,000. The 130 agents of Berkshire Hathaway HomeServices Beach Properties of Florida will promote the eight partnership shares available in the 110 Flatwood Street property. The brokerage produced more than $450,000,000 in sales in 2016 and was recently recognized as one of the top 50 Berkshire Hathaway HomeServices affiliates in the nation. Partnership shares in the current offering are priced at $348,500 with annual costs per partner of $14,500. Each member of the limited partnership will enjoy approximately five to six weeks per year with family and friends for years to come. For additional information on this unique opportunity, visit www.LifestyleAssetGroup.com, call 970.449.4292 or email: karla@LifestyleAssetGroup.com.